New litters will be ready for their new homes this weekend. All of our pups listed on the links to the right are ready to be shown and go to their new homes, with the exception of the chihuahuas and the French Bulldogs; we can take deposits on those and they will be ready for their new homes in a few weeks. We are available all weekend to show, so give us a call and schedule a visit. If you scroll through my "older" pups comments from other posts, you will find that I don't think "older" is harder to potty train than 8 week olds. By law, we are not to let them go to their new homes until they are 8 weeks old, lots of people like them at that age. However, depending on the breed, we sometimes don't let them go home till they are 10-12 weeks old, if they are little, in our opinion, they are not ready to leave at 8 weeks old. Anyway, the "older" pups I think are easier to train. They are a little more mature, their bladders are a little more mature and I think they pick up on things little easier. For some reason, September wasn't super busy for us and I have quite a few that are still here waiting for you to take them home. I am discounting them as follows: Morky M - $300, Yorky Male - $400 and 2 Yorkipoo Females - $300 each. More info can be found in the links to the right. We are available all weekend for showings. Give us a call and thanks for visiting our site. Yay! Hoping a bunch of pups will be adopted and find their new forever loving home. We love our pups but are always happy to see how happy they make their new owners. Our weekend appointments are filling up, therefore, if you see something you like, give us a call asap to get something scheduled. Time to have a sale on the pups that have been ready for awhile. I am reducing the prices on 5 of the puppies that we currently have available. They are the "oldest" pups that are still here and they need to go to their new forever homes. This coming weekend all of our "new" litters will be ready for their new homes, so I feel the need to make some space. On sale is a bichon male, normally $550 for $450, 2 Cocker spaniel males, usually $550 for $450 each and a Morky male usually $550 for $450. 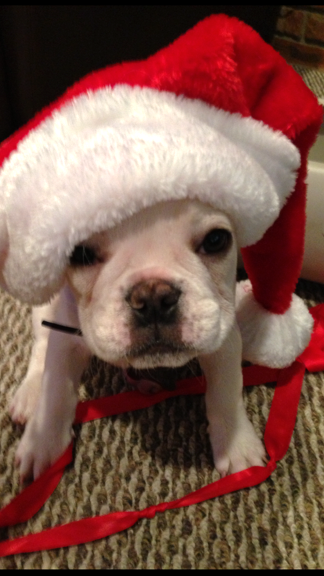 I also have one Boston male reduced from $600 to $500. None of these pups are "old". They are just older than the latest litters. Getting a pup a couple of weeks older is not a bad thing, I actually think it is easier to train them with a couple weeks of maturity under their belt, plus their bladders are a little bigger. The new litters that will be ready for their new homes starting Saturday are: Westies, Maltipoos, Cavapoos, Cavachons and Cavaliers, Bostons and Min Pins. Informaton on all of our puppies are listed breed specific on the links to the right. Give us a call to schedule an appointment or to gather more information. I am rehoming three of my moms who are being retired from breeding. We have Two Yorky moms approximately 6 years old, who I have had spayed after their last litter. They have great personalities and will make wonderful pets. They are used to using a doggie door and will need a refresher course on potty training. I can let them run in my yard without fear of them running away. They come right back when called and are just charming. I will post pics of them within the next few days. I also have a Chihuahua mom who needs to be rehomed. She is just 2 years old, but due to complications with her second litter, we had her spayed. She is a little shy, but loves to be held and snuggled. She also loves to play with her toys. She too, uses a doggie door with no problem but will need a refresher course on house training. My rehoming on these three is $150.00 This is a picture of Dora, the chihuahua. We still have some great looking pups with fabulous dispositions available. We are available on Saturday, Sunday morning or all day Monday. Give us a call to set up a time to visit. Even though it has been four years in the making, we finally have passed all inspections and we want to Celebrate!!!! We want to thank everyone that has supported us during this time. If you are a past client, we would love for you to stop by and see us. The boarding facility is fully operational now and you can see the TLC your four legged family member will receive while staying with us. If you are a potential client, please make sure you stop by and say hi. If you are thinking of one of the pups that are listed on the links to the right, you might not want to wait until that day, as I think it is going to be a little crazy around here and I don't know how many of the pups will still be here a week from Sunday. Since all the new pups are ready for their new homes, I have decided to discount some pups from the previous litters. 1 Shih Tzu Female $575 now $400. 4 Yorkipoo boys and 1 girl $500 now $400. None of these pups are "old", they are actually at a great age to really get the hang of potty training. Just need to make some room and want to see them in their new forever homes. A friend of my husbands has relinquished his year old female dog to our custody. She is a chiweenie. 1/2 dachshund-1/2 chihuahua. They no longer have the right accomodations for her. She is sweet, a little timid, completely up-to-date on all shots including rabies and spayed. Her biggest downfall is she is not completely potty trained, however, I think it wouldn't take much to get her back to it. Apparently, their son would keep her locked in his room or long hours and not let her out. $50.00 rehoming fee and she is yours!!! All the pups that are listed to the right on the links will be ready for their new homes on Saturday. I am scheduling all weekend long. Just give me a call to set a convenient time up for you to see these litle darlings. New litters of pups will be ready for their new homes next weekend. We still have quite a few very nice pups ready for their new homes right now. The following is the list of what will be ready next weekend: Cavalier King Charles, Teddy Bears, Maltipoos, Morkies, Schnauzers, Bostons, Poodle and a French Bulldog pup. I have updated the pages with pics and info per breed. Give me a call if you would like to schedule an appointment. We can start showing the new ones on Saturday, July 20. All the new pups are ready for their new homes, check the links to the right for availability. I am available Wednesday, Friday, Saturday and Sunday for appointments. We are closing for the day on Thursday, July 4 and will not be answering the phone that day. Either e-mail me or leave a voicemail to set something up and I will respond Friday morning. Hope everyone has a safe and relaxing holiday! We have new litters ready for their new homes next Wednesday, July 3. Teddy Bears, Shihpoos, 1 Morky, Cockapoos, Cavapoos, Yorkipoos, Bostons, Bichons & 1 Poodle. If you are interested at all in any of the above, check the link for more info and give me a call to schedule an appointment. I am beginning to schedule for Wednesday, Friday, Saturday and Sunday next week. Reduced Price of the one little female Shihpoo! Still have plenty of pups to choose from, but have decided to reduce the little girl shihpoo even further. I will take $350 for her. She is a doll and is going to be a little peanut. She is 4 months old and only weighs 3#. She probably won't be much more than 5# full grown. My daughter is a professional groomer and we gave her a bath and trimmed her up a little on Thursday and snapped this picture. If you are interested in her, give me a call. This is a bargain for a pup this size She is loving and very playful. One female shihpoo and one female Yorkipoo. Regularly priced at $500. I will take $400 for either of these pups. Check the links to the right for specifics and pictures. New litters of pups will be ready for their new homes next Saturday, June 15. We are beginning to schedule appointments for next Saturday on all of the new litters of puppies that will be ready at that time. Check the links to the rights for specifics and give me a call to get set up on a time. 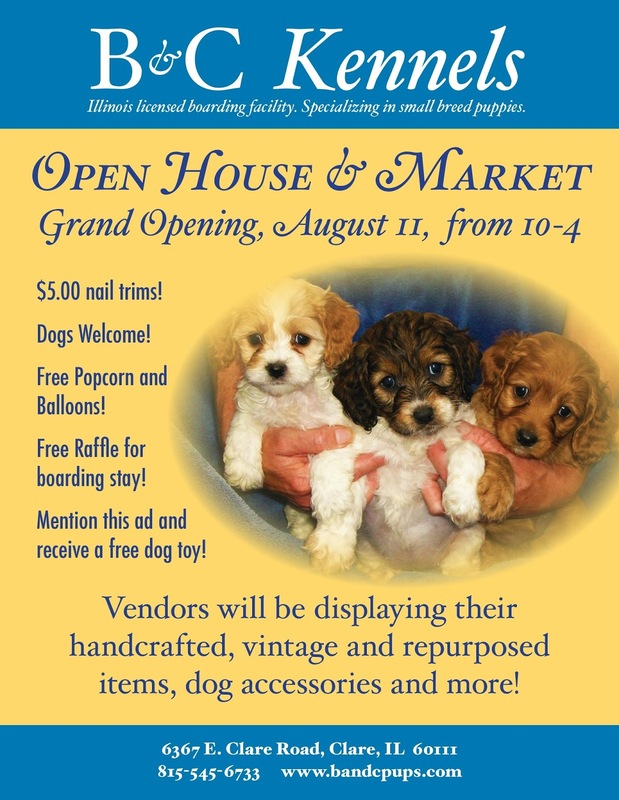 Newly available will be: Schnauzers, Teddy Bears, Cockapoos, Cavapoos, Yorkipoos, Imperial Shih Tzus, a Morky and Pomeranians. Still looking for a home for Princess! Please read the blog a couple down about Princess. She really is a sweetheart, she is just a noisemaker. Not barking, a growly talk that tells you she is happy and is enjoying her playtime. She will make a wonderful pet for someone. How about $400 ? ? ? Up-to-date on immunizations including rabies. Give us a call!!!!! Updated pics on all the pups available at this time. I have updated the site with new pics of all the pups that are available for their new homes right now. If you have any questions or would like to schedule a visit, just give us a call! All of the new litters are ready to be viewed and taken home. We are making appointments all weekend, including Monday. So, if you would like to visit and play with a pup or two, don't hesitate to give us a call. Enjoy the kickoff of summer weekend! Our next new litter of pups will be ready for their new homes next Friday. Wow, time has flown, I didn't realize it has been a couple of weeks since I posted. It is already time to talk about the new pups. Before, I get to that though, we still have great pups ready for their new homes right now. If you are looking for little, I highly recommend the Chorky's. They are going to be in the 5# weight range when full grown and do not shed. We have a couple that are high energy and love to play and a couple that are a little more laid back and cautious. Two litters, moms are both long hair chihuahuas and dad is a very small Yorky. I have both moms and dad here on site for you to see. The last time I had these litters, they flew out the door, this time not so much. Therefore, I have just reduced them by $50 and will take $500 for these cutiepies, which is a great price for a little pocket pup. Both boys and girls available. We also have a small poodle, a very small maltipoo, 2 Yorkipoos, a teeny tiny Yorky, a cockapoo, 2 Peekapoos and 3 English Bulldogs all ready for their homes now. Now to get on with upcoming litters: I can begin making appointments Friday, May 24 for the following: Maltipoos, Schnauzers, Morkies, a Bichon, Yorkipoos, Cocker Spaniels, a Shih Tzu, Bostons and Teddy Bears. I will put more info on the links to the right asap. We can start taking deposits on our new litters of Chorkies! The last time we had a litter of these pups, they were just about all spoken for by the time they were old enough to go to their new homes. I usually need to keep these pups till they are about 12 weeks old, due to their tiny size. I have two litters that can be looked at and a deposit put on at this time. One litter is black and tan, just like a Yorky and the other litter is brown and tan. Both of the mom's are long hair chihuahuas and the dad is our 4# Yorky. They should be ready for their new homes sometime the end of April. They look like little mini Yorkies and have great natures. I still hear from a couple of the new owners from our last litter and they are very happy with them. $600 each. The Poodle/Chihuahua Mixes that are as cute as can be are now 15 weeks old, really need to find their new permanent home. They are still quite small, under 4# great little pups. I have pondered on this blog before, why they haven't left, and still am questioning it, because they are great little pups. So, I have reduced them down to $300 each. We still have 2 boys and a girl available. Little girl found her new home with Katie and Garrett. Thanks guys! Check out the links to the right to see what is available at this time. We have appointment times available all weekend. Give us a call to set up a time to see one of these cuties! All the new litters from my cousins house should arrive tomorrow evening. Appointments can be scheduled for Friday eve and all weekend. If you are interested in one of the pups, please try to schedule your appointment for his weekend as Monday morning I am having foot surgery and I will have to mostly schedule in the evenings when my husband is home to help. Since we live in Dekalb, according to the weather reports, one of the hardest hit by snowfall, I may have to delay puppy appointment for those of you who are on the waiting list for the new litters. The litters that will be available are from my cousins kennel and he was suppose to bring them to me on Wednesday morning. We may put it off a day or two. I don't want to risk his life or the puppies being stranded on a roadside. I will keep everyone posted. If you have an appointment scheduled, feel free to call me to see if we know more. If you want to schedule an appointment for any of the pups, give me a call. I am comfortable beginning to schedule for the weekend. I was very blessed and honored to be able to witness the little man come into this world. He is welcomed by our oldest daughter, her husband and his 2 year old brother. Truly a miraculous gift from God. He weighed in at 8.8# and was 21" long. Everyone is doing great. Thanks for the kind words. List and Pics of New litters that will be available next week . . .
Ok, new litters will be ready to be seen anytime after Thursday, March 7. We have two litters of cavapoos, 2 litters of Morkies, 1 litter of Cockapoos, 1 litter of Yorkipoos, litter of Maltipoos and 1 litter of Boston Terriers. All ready for their new home next week. I have posted pics on the links to the right. If you are already on the waiting list, don't worry your spot is held, if you are interested in any of the pups, give me a call to get on the waiting list. I will begin making calls this weekend to start scheduling appts for next week. With that being said, I guess it is time to discount a few of the pups that are still here from the last litters to make space for the new pups. Therefore, I will take $400 on any of the Teddy Bears that are left. 2 girls and 4 boys. Their usual price is $475.00. I can schedule appts for the pups that are ready right now at anytime, so give us a call. ps. 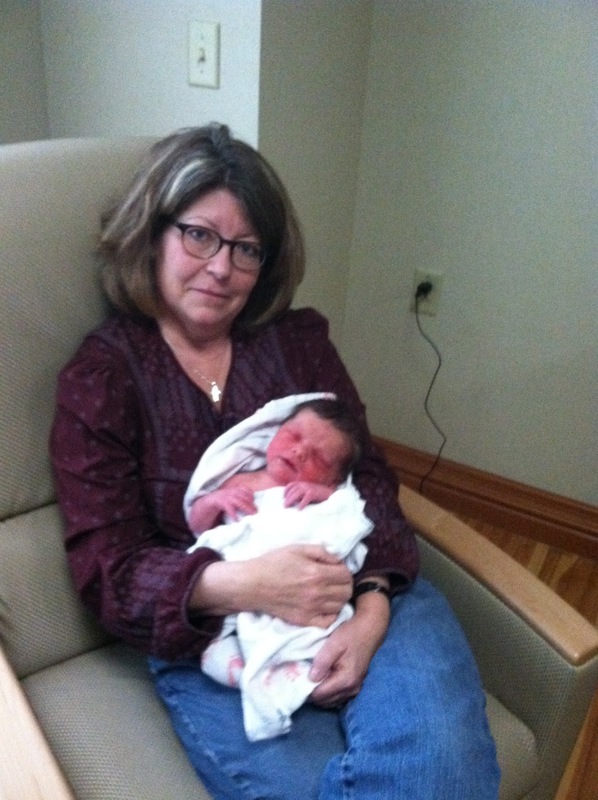 we are expecting a grandson at any moment and I am fortunate enough to be allowed in the delivery room, so I won't be available during that time, but only little Casey knows when that is going to happen. So, if I am unable to answer the phone, leave a message, I will get back to you asap. so, he asked if there was something else he could work on. I suggested, he could sit in the office and play with pups and try to get some better snapshots of the darlings and he jumped right on it. The two chihuahuas that are left from our litter are the tiniest things and I sure would love to see them placed together. They are very attached to each other and because of their size it would be great for them to go to the same home. Therefore, I am offering a pretty generous discount if you are willing to take them both into your home. They are $400 each, but I will take $700 for both of them. Please understand that I need to be selective to the type of home they go to. A home with small children probably is not in there best interest. They are playful, energetic pups, but still only about 1.5# and they are over 12 weeks old. They will have to be in a home where they don't have the chance of falling down stairs or off a couch, etc. These are probably the smallest ones we have had. I know that there are breeders who take advantage of their size and charge $1000's for them. I don't do that, but am very careful as to where they go. After 30 minutes playing with the chihuahuas, he played with the Chi/Poos. They are not easy to get a decent shot of because they are constantly on the move. Although, if you hold them one on one in your arms, they do settle down and enjoy sitting on your lap. I don't understand why no one has shown interest in these pups. They are absolutely darling and will be on the small side. They should not weigh more than 6# full grown. They have the advantage of the poodles non-shed coat and to me, they look like little tiny toy versions of a black poodle. One of the problems is that black is not easy to photograph and they don't look nearly as cute as they are. So, please consider one of these pups, they will make a great addition to most families. We have two boys and two girls available. $450 each. Nothing cuter than a tiny little schnauzer in a traditional schnauzer haircut. Got the salt and peper girl and the white boy groomed so far. . .
Ok... this is exactly why I need to stick to my guns regarding deposits. In the last few years that I have had this blog/website I have never gone on a rant, I guess there is a first time for everything. Without going into a ton of detail, let me explain why I expect a deposit to hold a pup (or in this case 2 pups). When you ask me to hold a pup, it is a leap of faith for me to do so without getting a deposit. You might have the best of intentions, but then something changes and you change your mind. Where does that leave me? It leaves me with missed opportunities to place that pup in another home, which is not fair to me or the puppy. The moral of this story is that I will NOT hold a pup without a 50% non-refundeable deposit. The only part of me that is ok with the way things worked out is that if he behaved that way towards me, then I am glad he doesn't have one of my pups and I have already been able to place one of th pups in the best home ever! Thank you to the wonderful couple that came to visit today. Boo Hoo, but the good news is we had a great time and were able to relax. Now back to our real lives. I will be starting to make phone calls to those of you on my waiting list to set set up appointments. We can start showings Tuesday after 12:00 noon. If you are not on a waiting list yet, don't hesitate to call and inquire and set up a time for you to see a pup that is available. The links to the right give you more info and a few pictures. I will be snapping better pics sometime tomorrow. Thanks for visiting my site and I hope to talk with you soon. WE are officially on vacation! But we can still answer emails and phone calls until Saturday morning . . . Check the links to the right for the pups that will be available beginning February 6. 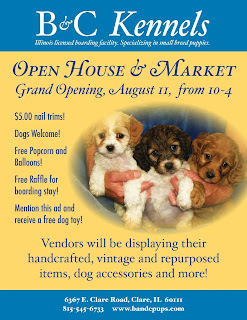 We will have Yorkies, Yorkipoos, Westies, Teddy Bears, Schnauzers, Chihuahuas and Chi/Poodle Mixes. Give us a call to schedule a time to come see them or get on the waiting list. If one of the pups llisted below is catching your eye . . .
Tuesday, January 22 will be the last day to see the two pups that are still looking for their new homes. We will be out of town after that and not able to schedule any visits until Tuesday, February 5. At that time, we will have several new litters available. I will do my best to get info and pics posted tomorrow. I can still take phone calls up until Saturday afternoon, January 26. So, if you want to get on the waiting list or schedule a time after our return, feel free to give me a call. After January 26, you will have to leave a message or shoot me an email and I will get back to you the following weekend. Bon Voyage for us!!!! Yippeee!!!! We are going on a well needed Vacation! yay for us and yay for you. We still have 4 (just 2) pups that need to find a home before we leave. Therefore, we are greatly discounting them. One Dorky originally priced at $500, will take $250. Found his new home. Yay for him! One Peketzu originally priced at $475, will take $350. Two Maltipoos originally priced at $475, will take $350. One of the boys found his new home, still one left! We will have new litters of pups available the first week of February. Please give me a call and get on the waiting list (how the waiting list works is on a link to the right); if you are interested in any of the following puppies: Teddy Bears, Yorkipoos, Westies, Yorkies or Schnauzers. A New Year and time for a Sale! We have decided to discount a couple of the "older" pups, to hopefully expedite them finding a new home sooner rather than later. We have one Chihuahua male pup who is still a tiny thing, he is chocolate and 16 weeks old. Usually $400 will take $300. One Peketzu, Pekingese/Shih Tzu mix who has a beautiful white coat and a wonderful personality. He is 11 weeks old. Usually $475 will take $400. One Dorky Male who has a feisty but loving personality. He loves to play but will cuddle in your neck too. He looks like a long hair dapple dachshund but will stay on the small side. Probably about 6# when full grown. He is 16 weeks old. Usually $500 will take $300 for him. We have 1 female pomeranian that we usually get $600 for, and will take $450 on her. One is a rare blue color and going to be very small. 3-4#. She is 5 months old and just a tiny thing. Any further information and pics can be found on the links to the right. We also still have 2 Maltipoo males for $475 and a Boston Terrier male for $600. Give us a call to come and see any of these puppies. Happy New Year to all!